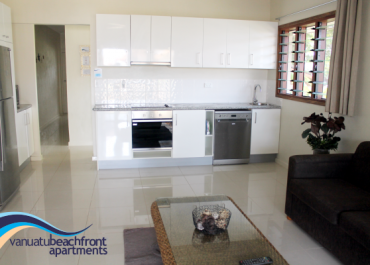 We offer modern and functional two bedroom apartments measuring approximately 85 m² equipped with all the details expected of this Beachfront Complex. 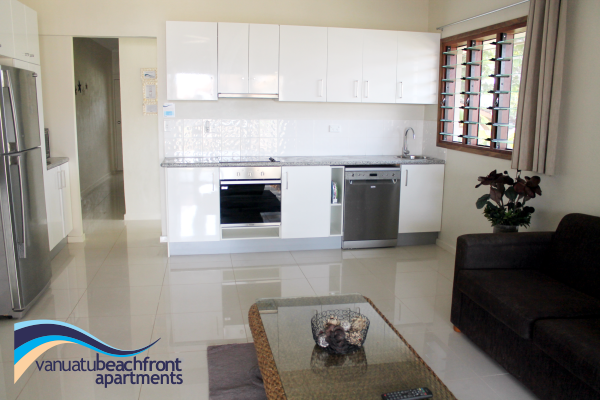 Whether you’re holidaying in Vanuatu with a friend or getting away with family, the two bedroom ‘Ocean View’ apartment at Vanuatu Beachfront Apartments provides the ideal hotel accommodation for your stay. 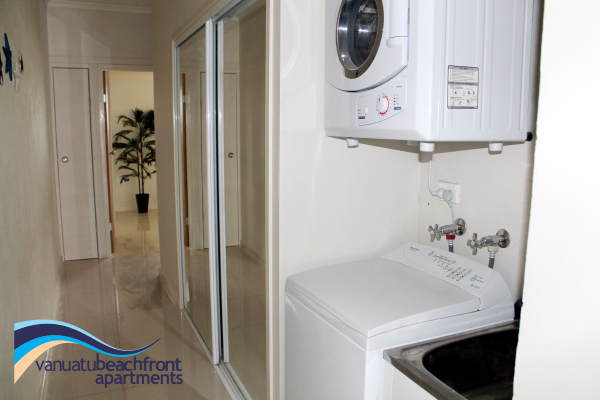 Modern and functional apartments measuring approximately 85 m² equipped with all the details expected of this Beachfront Complex. 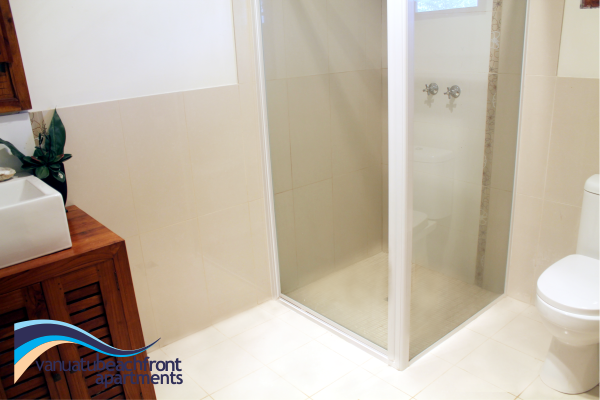 The apartments have a queen size bed and a double bed in seperate rooms. 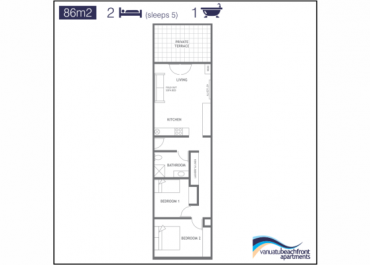 In addition to these beds there is also a fold out sofa bed in the main living area. 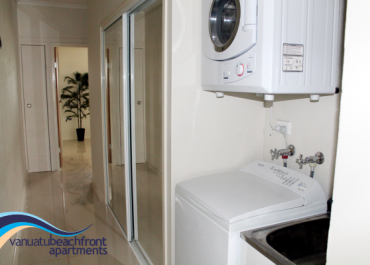 Fully self-contained kitchens with large fridge, microwave, oven and cooktop. * single bed rollout or baby cot available on request. 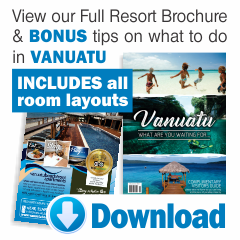 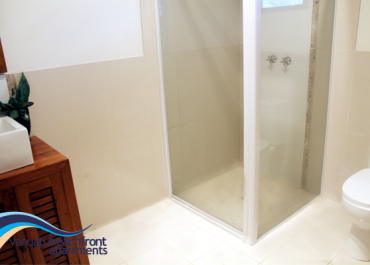 Booking your two bedroom apartment with Vanuatu Beachfront Apartments is easy. 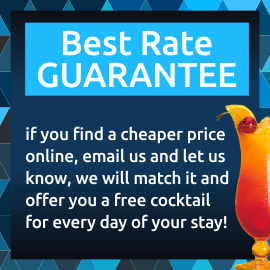 Simply make a reservation or contact us today.